It’s no secret that Western medicine has directly and indirectly taken plant compounds and turned them into lab-based products. Despite the human drive to invent and use synthetic chemistry to create new drugs, it’s nature that is the master of molecules. Aristotle taught us "the whole is greater than the sum of its parts." With the introduction of single-compound and synthetic cannabinoid based products to the health and wellness market, it's more important than ever to know the differences between whole plant, full-spectrum phyto-cannabinoid products like Charlotte's Web and these new isolate versions. The principal of using the "whole plant" is practiced in many cultures, including modern Western herbalism. The idea is that the activity of the plant is safer, more reliable and effective than extracting isolated chemical compounds from different parts of the plant. 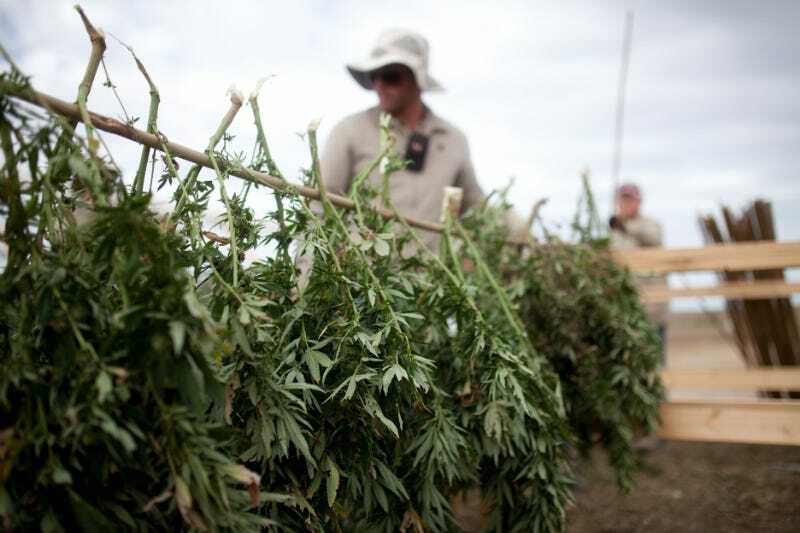 CW uses 100 percent of its cultivated non-GMO plants in its hemp extract oil. Hemp contains a symphony of over 400 compounds like cannabidiol (CBD), secondary phyto-cannabinoids, terpenoids, terpenes, and flavonoids. It has an internal "checks and balances" system in place. These compounds work synergistically to heighten the positive, therapeutic effects of cannabidiol and naturally buffer other less desired compounds that come along with the plant. When certain plants have single compounds extracted, these compounds can be toxic, like morphine from the poppy plant or cocaine from the coca leaf. It's the combination of other plant compounds and chemicals that can inhibit harsh effects. It’s also important to consider the quality of non-GMO genetic breeding. Charlotte's Web proprietary genetics were gathered from across the world and refined through scientific breeding for maximum therapeutic benefit and consistency. Hemp has quite an entourage of phyto-cannabinoids, which are unique chemical compounds. The ring leader is cannabidiol (CBD), the non-psychoactive cannabinoid that has shown to have the largest potential for wellness benefits in hemp. It's accompanied by other cannabinoids such as tetrahydrocannabinol, tetrahydrocannabivarin, cannabigerol, cannabichromene, and cannabinol. Also, the role of terpenes, a huge class of aromatic and flavorful organic hydrocarbons, is being widely explored as having a significant influence in whole plant care. Terpenes are the building blocks for plant hormones, sterols, pigments, and cannabinoids. They've shown to cooperate with the ECS and the immune, nervous, and gastrointestinal systems. About 20 flavonoids, a large phytonutrient family, have been identified in the cannabis plant. They're well known for producing the non-green color in plants, like the red in raspberries and also, they’re high in antioxidants. Together with cannabidiol, terpenes, and other cannabis phytonutrients, hemp flavonoids consumption is being researched just like the flavonoids in our food. With so many incredible medical and technological advances in our lifetime, it's often thought that natural products are less sophisticated, less efficient than those synthesized in a lab. In 2015, a ground-breaking Israeli study demonstrated some exciting findings when it comes to clinical applications of whole plant cannabidiol vs. single-molecule cannabidiol. Plants have nourished and cared for humanity for tens of thousand of years. They have the ability to orchestrate groups of chemical compounds that have profound effects on human health and wellness. As technology moves forward in search of new health solutions, sometimes science tries to bend nature to its will. If history has taught us anything, like a rubber band that's pulled too far, nature can snap back. Fortunately, Charlotte's Web all-natural, whole plant hemp products have been proven reliable and are produced to yield reliably consistent performance every time.